What are sample licence codes and how do they work? 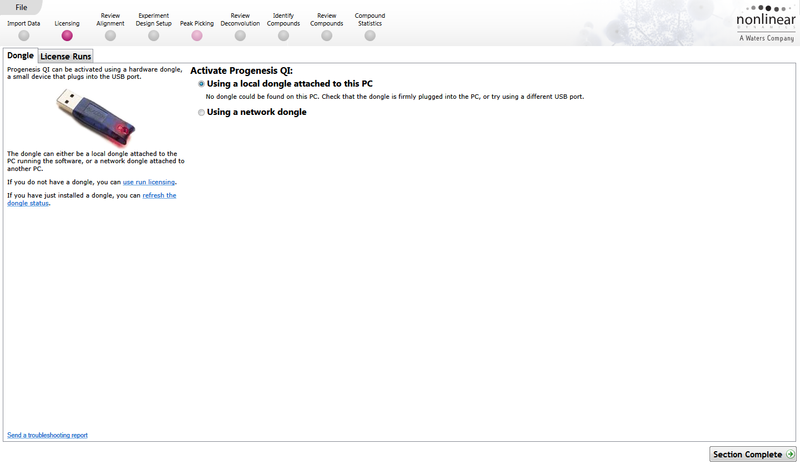 The analysis capabilities in Progenesis QI are enabled by use of either a hardware dongle (show me) or by entering sample licence codes when prompted by the software. Hardware dongles are typically provided when the software has been purchased, allowing analysis of all of your data in the purchased version of the software, forever. 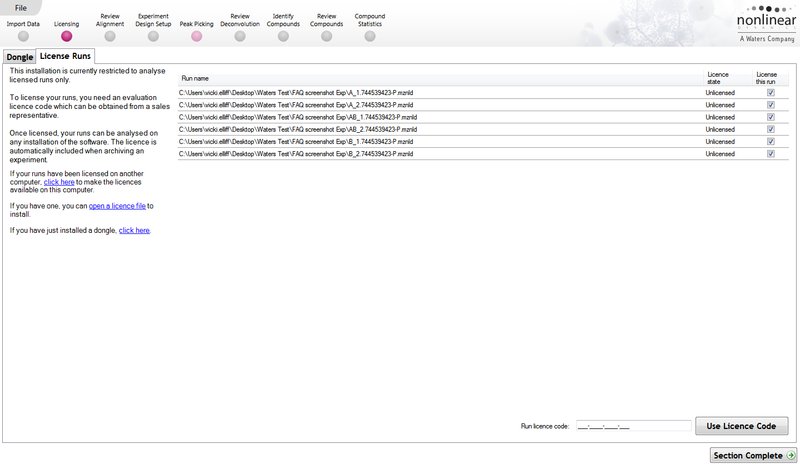 Licence codes, on the other hand, enable the analysis of an explicit number of runs. After enabling that number of runs, the licence code can no longer be used to enable further runs. Any experiments containing the licenced runs, however, will continue to be fully usable and those runs can be included in experiments created by any version of the software. Next, enter the licence code that you've been given into the Run licence code box and click the Use licence code button. Note: your PC must be connected to the Internet for licencing to be successful. Upon successfully licencing your runs, you will be able to continue your analysis. This will only need to be done once and any experiment archives created from this experiment can be analysed on any PC with the same (or a later) version of the software installed.